Officially the Lebanese Republic, Lebanon is a small Middle Eastern country with a rich history and a diverse cultural identity. Although it has experienced a fair share of conflict and unrest, Lebanon has been enjoying increased prosperity of late. 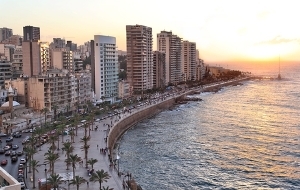 The country’s capital, Beirut, has become increasingly popular with foreign visitors, who are attracted by its fascinating culture and great nightlife. Government is a Unitary parliamentary multi-confessionalist republic. The prime minister is currently Tammam Salam. The earliest evidence of civilization in Lebanon dates back more than seven thousand years. Official language is Arabic, but both French and English are widely spoken. Currency is the Lebanese pound (LBP). 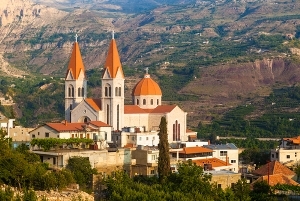 Lebanon is the most religiously diverse country in the Middle East. 54% of the population is Muslim, while 40.4% are Christian and 5.6% are Druze. Lebanese people celebrate both Christian and Muslim holy days. Lebanon’s small size is comparable to the US state of Connecticut. Lebanon’s name originates from the Semitic word for white (probably referring to the snow caps of Mount Lebanon) and has remained unchanged for over four thousand years. The city of Byblos in Lebanon has been suggested as the oldest continually inhabited city in the world. The tourist industry makes up 10% of the country’s GDP. Bordered by Syria to the east and Israel to the south. The cedars of Lebanon are depicted on the national flag. The cedar is a symbol of hope, freedom and memory for the Lebanese. Higher education in Lebanon is administered by the Ministry of Culture and Higher Education, and all but one of the 41 Lebanese universities are private. Although the official language of Lebanon is Arabic, the language of instruction at universities in Lebanon is English or French (the latter due to the country’s colonial past). Ranked 2nd in the Arab region and joint 228th in the world (up from 268th last year), the American University of Beirut (AUB) is a private and secular university with about 8,400 students, of which over 1,700 are international, coming from 77 different countries. As you may gather from the name, teaching is conducted in English. The American University of Beirut was founded in 1866 and states that it “bases its educational philosophy, standards, and practices on the American liberal arts model of higher education”. There are more than 130 programs available in seven faculties. AUB is a member of various international associations and has collaborated with many overseas institutions, including the US’s Columbia University and Johns Hopkins University School of Medicine. Speaking of medicine, AUB ranks within the top 300 universities in the world for this subject in the QS World University Rankings by Subject 2016. Also known as Saint Joseph University, in English, USJ is ranked 17th in the Arab region and 491-500* in the world, and was founded in 1875 by the Jesuits, making it one of Lebanon’s oldest universities. It is also the country’s main French medium university and is known for its university hospital, Hôtel-Dieu de France. USJ has the distinction of being the only university in the Middle East to adhere to the European Credit Transfer and Accumulation System (ECTS), whilst still being in accord with the laws on higher education in Lebanon. There are around 12,000 students enrolled at USJ and around 2,000 teachers. The university’s student to faculty member ratio is the second best in the country, after Université Antonine. Ranked 651-700 in the world and joint 15th in the Arab region, the Lebanese American University (LAU) was founded in 1835 and had more than 8,300 students enrolled as of Autumn 2015, of which 19% are from abroad. Located in Beirut and Byblos, the Lebanese American University is a private, secular university which conducts teaching in English. It is a member of the Association of American International Colleges and Universities, which enables student exchanges and allows information to be shared amongst member institutions. International students coming to Lebanon will be pleased to learn that Lebanese cuisine is world famous, and locals are known for their hospitality – they enjoy welcoming visitors and treat them like family. Dining in Lebanon is a social event, so don’t be surprised if you’re invited to come for dinner soon after meeting someone! Lebanese people consider it an honor to have a guest in their home and you will be able to try a delicious array of Mediterranean dishes. It’s also considered courteous to bring along a small gift when dining as a guest in someone’s home, and hand-shaking as a greeting is common. Lebanon is a part-Muslim, part-Christian country, and appropriate respect should be showed for all of the country’s religions, laws and customs. In many areas you will find that the dress code is more relaxed than in other countries in the region, but you should still cover up to visit religious sites. Social attitudes in Beirut are arguably more relaxed than in the rest of the country. Alcohol is legal and widely available in most areas of Lebanon, and the legal drinking age is 18. Read on to find out more about Lebanon’s student cities. 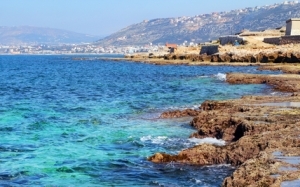 Do take note of the travel advice for parts of Lebanon – as of April 2016, the UK government advises against travel to Tripoli, Sidon and parts of Beirut. Also known by its French name, Beyrouth, Beirut is Lebanon’s capital and largest city, with over two million people residing in its metropolitan area. Beirut is also one of the oldest cities in the world, dating back over 5,000 years, and it was known as Berytus in antiquity. The city is the seat of the Lebanese government and also plays a central role in the country’s economy. Visitors are attracted to Beirut’s fascinating cultural sights during the day and some of the best nightlife in the region by night, as well as the city’s attractive location overlooking the Mediterranean Sea. 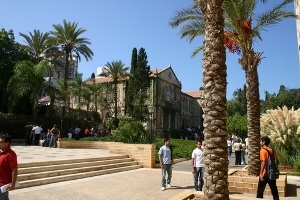 Among the top universities in Beirut are some of the oldest and most prestigious in the country, including the American University of Beirut (AUB). Tripoli is the second-largest Lebanese city, home to over a million people in its metropolitan area. Dating back to the 14th century BC, Tripoli famously has the largest Crusader fortress in the country, the Citadel of Raymond de Saint-Gilles. Like Beirut, the city blends its modern and historical aspects into a lively metropolis with iconic monuments and mosques. Lebanese University and Université Saint-Joseph de Beyrouth have their North Lebanon branches in Tripoli, and there are several other Lebanese universities found here. Sidon, which takes its name from the Arabic word for fishery, is another attractive city on the coast. Sidon is Lebanon’s third-largest city, with 266,000 people living in the metropolitan area. 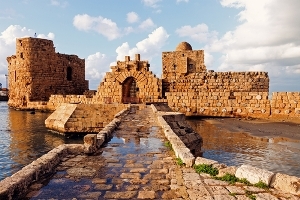 Its historical sights include an old city, Sidon Sea Castle and the Khan El Franj. 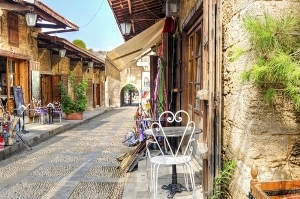 Shopping and entertainment in Sidon is also not in short supply, with many western food chains opening in recent years. Lebanese University and Université Saint-Joseph de Beyrouth also have branches here. One of the oldest cities in the world and dating back thousands of years, Byblos is itself a UNESCO World Heritage Site, thanks to its remarkable history, with ancient ruins left over from civilizations such as the Phoenicians and Romans. It’s therefore ideal for students who are passionate about history and archeology. Today, Byblos is a modern city that retains its historical past and is emerging as a popular tourist destination. As well as its great history, the city offers scenic views both from its Mediterranean coastal setting and surrounding mountains. The Lebanese American University has a campus overlooking the city on a hill, which houses its professional schools. 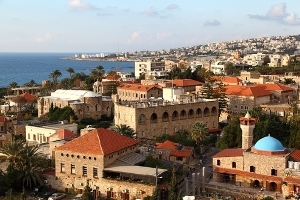 Byblos is much smaller than Beirut, with a metropolitan population of around 100,000 people. You should apply directly to your chosen Lebanese university, providing documents such as your academic record. If you’re studying at bachelor’s level, you’ll need a high school certificate or equivalent, and you’ll need proof of an undergraduate degree if applying to study at postgraduate level. You’ll also need to prove your proficiency in the course’s language of study, which may be in English or French depending on the university. You don’t need to provide this if you’re a native speaker, and may not need to if you have previously studied in English or French. You may also need to provide one or two letters of recommendation, an essay or personal statement, and admission test results such as the GMAT (Graduate Management Admissions Test) for business students. Check your chosen university’s official website to find out the exact requirements for your course. Student visas are required for international students of all countries except for Syria (unlimited stay), while students from Bahrain, Kuwait, Oman, Qatar, Saudi Arabia and the UAE can stay in Lebanon for up to three months without a visa. All other students need a visa, but note that you cannot enter Lebanon if you’ve visited Israel. Your passport, which should be valid for at least six months after you return to your home country. Tuition fees vary between universities, and may be charged on a per credit basis. As an example, American University of Beirut (AUB) charges around US$670 per credit for undergraduate humanities degrees, and about US$970 for graduate engineering and architecture degrees, with a minimum of 12 credits per semester. This means that the aforementioned degrees will cost at least US$8,040-11,640 a year. Once you’ve taken the amount of credits required to complete your course, you have the option of taking additional credits for free. Costs of living are relatively low in Lebanon, though nightlife and entertainment can add significantly to the amount you spend! You’ll need around US$12,000 a year, excluding entertainment costs, and should budget more to live in Beirut. International students looking to study in Lebanon should be aware of the country’s recent terror attacks and general instability. Students are advised to remain vigilant and avoid any areas of active or frequent conflict. You should carry photo ID with you at all times, and check the latest travel advice from your home country.